August 2 is the 214th day of the year(215th in leap years) in the Gregorian calendar.There are 151 days remaining until the end of the year. Year 338 BC was a year of the pre-Julian Roman calendar. At the time it was known as the Year of the Consulship of Camillus and Maenius. The denomination 338 BC for this year has been used since the early medieval period, when the Anno Domini calendar era became the prevalent method in Europe for naming years. Philip II of Macedon was the king (basileus) of the kingdom of Macedon from 359 BC until his assassination in 336 BC. He was a member of the Argead dynasty of Macedonian kings, the third son of King Amyntas III of Macedon, and father of Alexander the Great and Philip III. 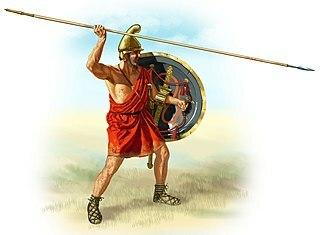 The rise of Macedon, its conquest and political consolidation of most of Classical Greece during the reign of Philip II was achieved in part by his reformation of the Ancient Macedonian army, establishing the Macedonian phalanx that proved critical in securing victories on the battlefield. After defeating the Greek city-states of Athens and Thebes at the Battle of Chaeronea in 338 BC, Philip II led the effort to establish a federation of Greek states known as the League of Corinth, with him as the elected hegemon and commander-in-chief of Greece for a planned invasion of the Achaemenid Empire of Persia. However, his assassination by a royal bodyguard, Pausanias of Orestis, led to the immediate succession of his son Alexander, who would go on to invade the Achaemenid Empire in his father's stead. Kyawswa was king of Pagan dynasty of Burma (Myanmar) from 1289 to 1297. Son of the last sovereign king of Pagan Narathihapate, Kyawswa was one of many "kings" that emerged after the collapse of the Pagan Empire in 1287. Though still styled as King of Pagan, Kyawswa's effective rule amounted to just the area around Pagan city. Felt threatened by the three brothers of Myinsaing, who were nominally his viceroys, Kyawswa decided to become a Mongol vassal, and received such recognition from the Mongols in March 1297. He was ousted by the brothers in December 1297, and killed along with his son Theingapati on 10 May 1299. 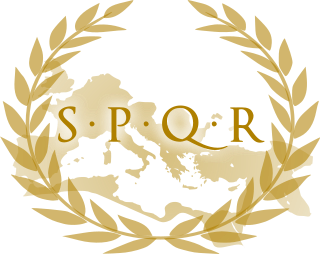 Year 216 BC was a year of the pre-Julian Roman calendar. At the time it was known as the Year of the Consulship of Varro and Paullus. The denomination 216 BC for this year has been used since the early medieval period, when the Anno Domini calendar era became the prevalent method in Europe for naming years. Gnaeus Servilius Geminus was a Roman consul, serving as both general and admiral of Roman forces, during the Second Punic War. Basil the Blessed is a Russian Orthodox saint of the type known as yurodivy or "holy fool for Christ". ↑ Lentz, Harris M. (2004). Obituaries in the Performing Arts 2003: Film, Television, Radio, Theatre, Dance, Music, Cartoons and Pop Culture. Jefferson, N.C.: McFarland and Company. p. 74. ISBN 9780786417568. ↑ "Profile". lop.parl.ca. Retrieved 8 March 2019. 1 2 3 4 Rose, Mike (August 2, 2018). "Today's top celebrity birthdays list for August 2, 2018". The Plain Dealer. Retrieved August 2, 2018. ↑ "FIFA Player Statistics: Alain GIRESSE". FIFA.com. Retrieved 2 January 2017. ↑ "Today's birthdays". Youngstown Vindicator. August 2, 2008. ↑ "Kevin Smith Biography (1970–)". FilmReference.com. Retrieved March 30, 2015. Note: At least one source, Yahoo! Movies, gives birthplace as Highlands, New Jersey. ↑ "James Jamerson Dies at 45; Bassist Backed Detroit Stars". The New York Times . 6 August 1983. Wikimedia Commons has media related to August 2 .